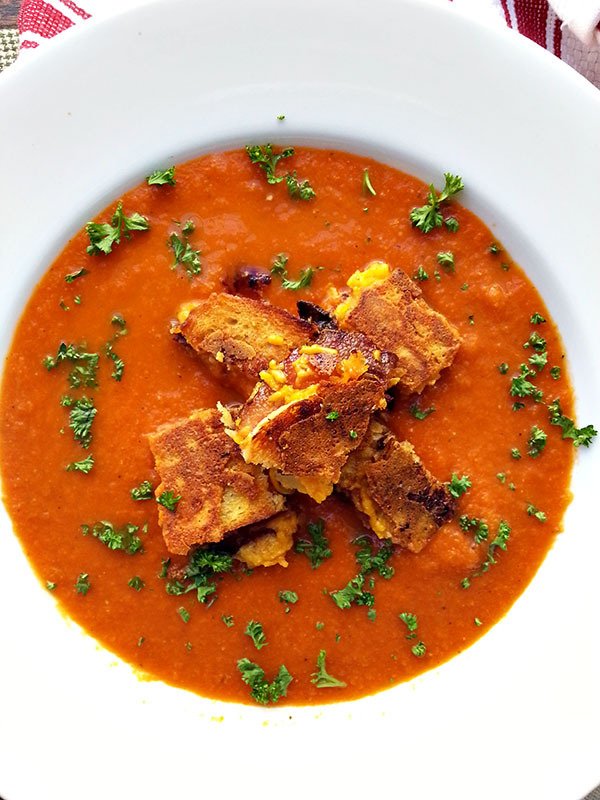 Grilled cheese and tomato soup is a classic combination that can’t go wrong. I love dunking a warm cheesy grilled cheese sandwich in a hot, piping cup of tomato soup. While contemplating having this meal for lunch the other day, I thought to myself, “Why not make grilled cheese croutons to combine the two?” Of course, I didn’t just stop there. Instead of ordinary grilled cheese, I decided to make it extra cheesy with an inside-out grilled cheese AND add maple bacon. I’ve recently become obsessed with maple bacon and have been adding it to almost everything; a grilled cheese seemed like the perfect opportunity to incorporate the bacon into another one of my dishes. Lo and behold, this dish did deliver on all levels – comfort food at it’s best! Heat oil in medium pot over medium-high heat. Add onion, carrot, celery, and garlic. Saute until vegetables have softened, about 7-8 minutes. Add tomato - Italian seasoning, stirring to combine. Cover and bring to a boil. Reduce heat and simmer for 10 minutes. Remove from heat and blend soup until smooth. Season with salt and pepper. Return soup to pot and keep warm. Heat nonstick pan over medium-low heat. Add 1/2 tbsp butter and melt. Add both slices of white bread, allowing them to soak up the butter. Spread cheese on one side of the bread. Top with 3 slices of bacon per sandwich followed by more cheese. Stack the other slice of bread on top, buttered side facing up. 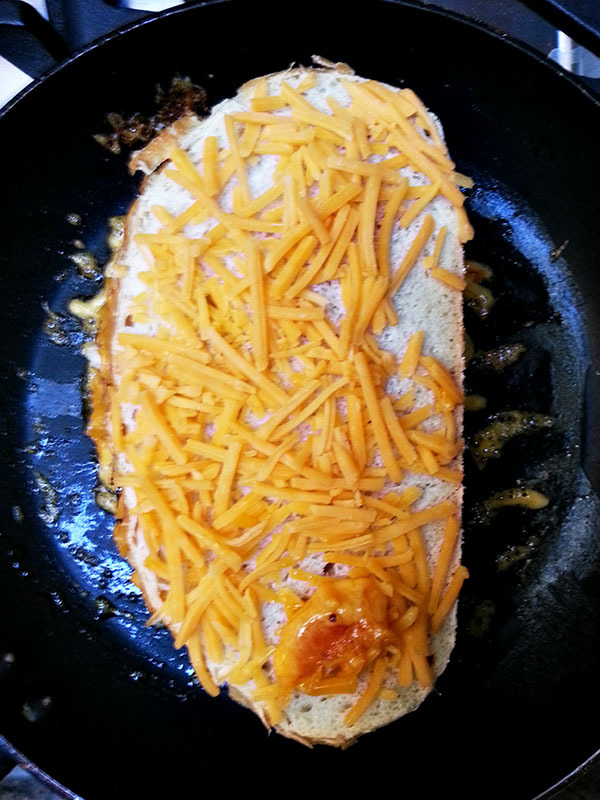 Spread cheese on top of the bread and cook until golden brown on the bottom. Melt the remaining butter in the pan. Flip the sandwich over and spread cheese on the top of the bread. Continue to cook for 3-4 minutes. Flip sandwich over once more and let cheese on the outside caramelize and get crispy. Remove sandwich from the pan. Cut into bite size pieces. Ladle soup into bowls and top with grilled cheese and bacon croutons. For maple bacon recipe, click here. Everyone knows that grilled cheese sandwich is simply that, cheese and bread. To make the best grilled cheese, you want to use extra sharp cheddar cheese and white bread. I chose sourdough but you can use regular white bread. The cheese can be shredded or sliced. Start the grilled cheese with butter. Make sure the butter has fully melted before adding the bread, allowing the bread to soak up that buttery goodness. You want to butter both the top and bottom slice before adding the cheese. Once you stack all of the ingredients, spread more cheese on the buttered side of the bread. This side of the bread has been exposed to the pan and will be hot, melting some of the cheese that is placed on top. Don’t be afraid of the cheese that falls to the bottom of the pan. The cheese will crisp up around the bottom of the sandwich, creating an extra crust. Cook the grilled cheese on medium-low heat to allow the cheese to slowly melt without burning the bread. Flip the sandwich over, top with more cheese, flip once more and voila! If you want to skip the tomato soup, you can enjoy the grilled cheese itself for a great sandwich. Otherwise, prepare the tomato soup and pair the two together for a hearty meal. 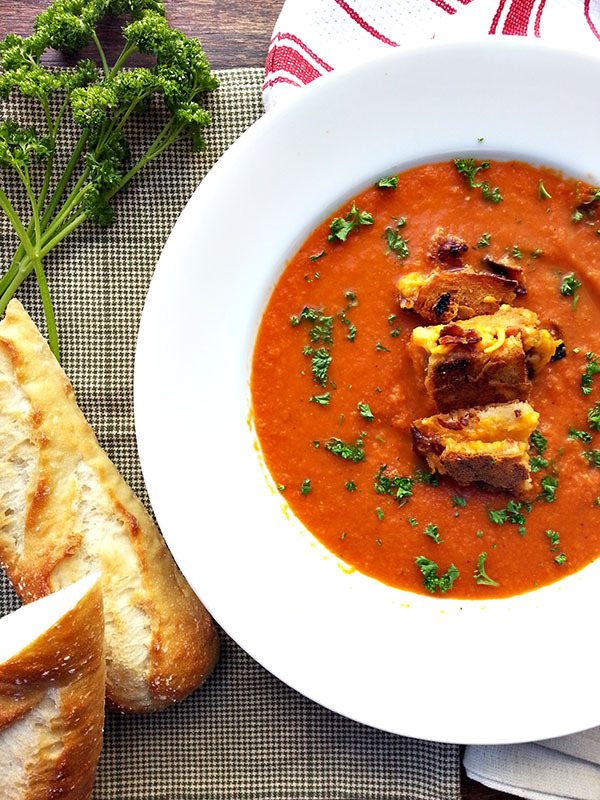 Although this dish sounds heavy, the light tomato soup perfectly balances the heartier sandwich. 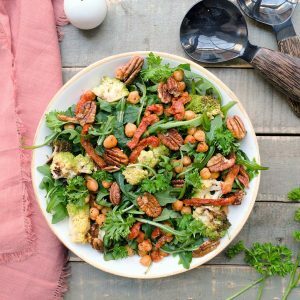 Perfect dish to warm you up on chilly days and fill you up! This looks AMAZING. I can't wait to try it. 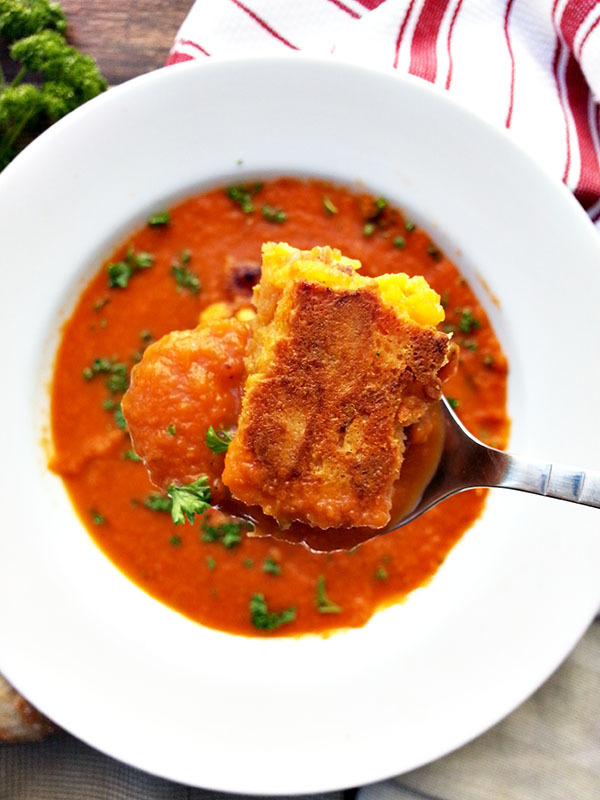 I'm a sucker for tomato soup and grilled cheese!! 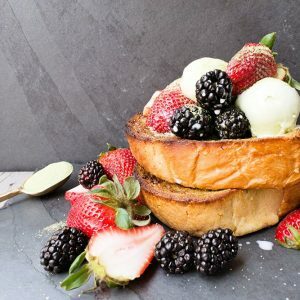 Wonderful shots, and this could not look more delicious. LOVE it! OH MY GOD!!!!!!!!!!!!!!!!!!!!!!!!!!!!! This is INSANE! Love, love, love!! You are my kind of girl! This looks to good to be true!